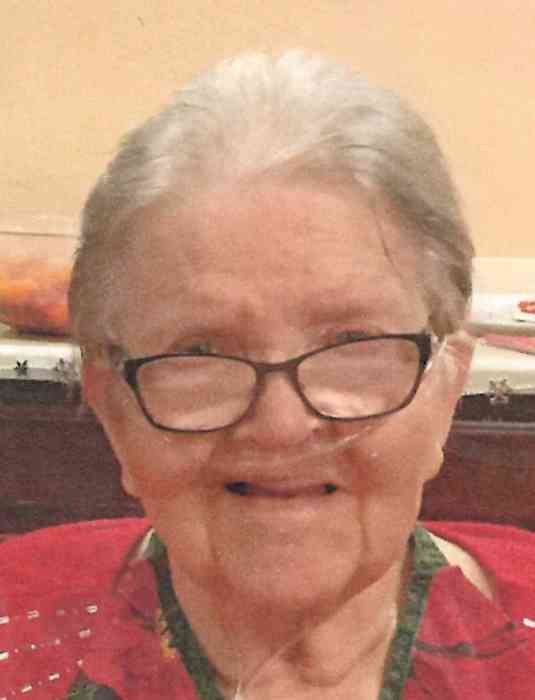 Joyce Watkins, 83 of Gaylord, passed away March 20th, 2019 peacefully in the arms of her daughter Ina and in the comfort and care of Aspen Ridge and Hospice of Michigan staff and caregivers. Joyce was born in Wayland, KY on March 9, 1936. She moved to River Rouge Michigan with her family where she later met and married her husband of 62 years, Mike Watkins. She is preceded in death by Mike; her parents Clifford and Kathryn Whitten; her sister Claudette Moore and brother Clifford Whitten Jr. Surviving are her children and their spouses, Ina and Joe White, Mike Jr. and Barbara Watkins and Deborah and Douglas Nasur; grandchildren, Julie, Michelle, Stephanie, Andrew and Amanda and great grandson, Wyatt. She is also survived by her sisters and their spouses, Sandra and Randy Payne, Frances and Ralph Kuschell; a brother Michael Whitten and many nieces, nephews and in-laws, Charles and Bert Watkins, Bruce and Lou Edith Watkins, Harry Fisher, Wanda and Roger Cole, Danny Watkins and Madeline Whitten. Joyce loved her family and loved to cook. Throughout her life she selflessly thought of and did for others. Funeral services will be held at 2:00 PM Sunday, March 31, 2019 at Gaylord Community Funeral Home & Cremation Service where the family will visit with friends beginning at 12:00 noon. A gathering for family and friends at BJ's Restaurant will immediately follow the service. In lieu of flowers donations can be made to Hospice of Michigan in Gaylord.